Fairly recently, a friend loaned me the complete works of Eels ie every CD. I knew of them and had enjoyed a couple of tracks and felt in my sonic bones that I would like to hear more of them. 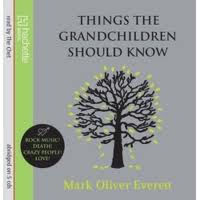 But the tipping point was my reading Mark Everett's autobiography, "Things the Grandchildren Should Know". I presume that the book is not a complete pack of lies - one can never be sure these days. Anyway, the CDs were fantastic and the book was fantastic. Up until the point of reading the biography, I hadn't realised that Eels is basically Mark Oliver Everett plus session musicians. Over the past 6 weeks, I have played Eels music more than anything else. 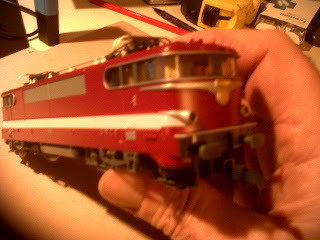 The weather has been wintry today and so I couldn't find a shop to sort out the wiring to solve the problem of the snap lock connectors reported yesterday. Instead, here is a photo of my Roco rendition of Le Capitole. Looking forward to having the track complete and this machine running on it.